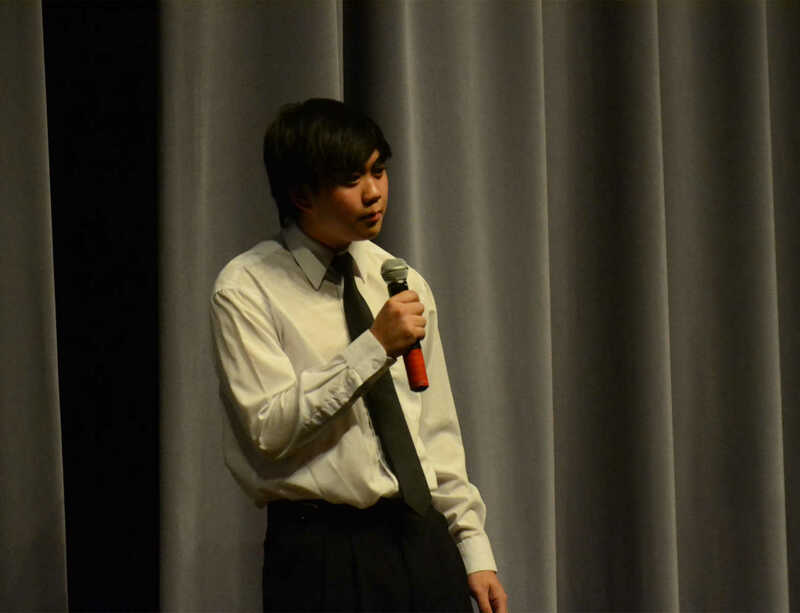 Anthony Do sings a duet during the Male Handsome Pageant on Friday. 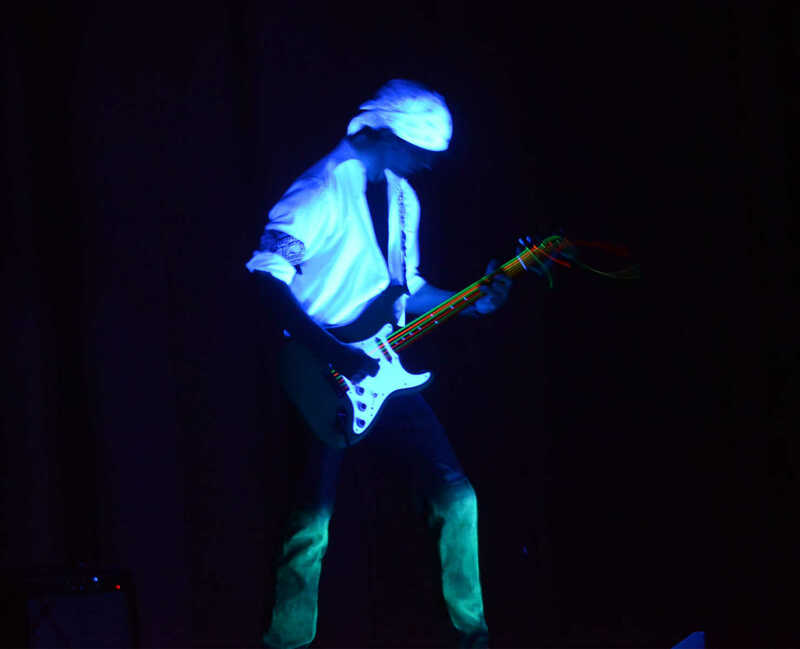 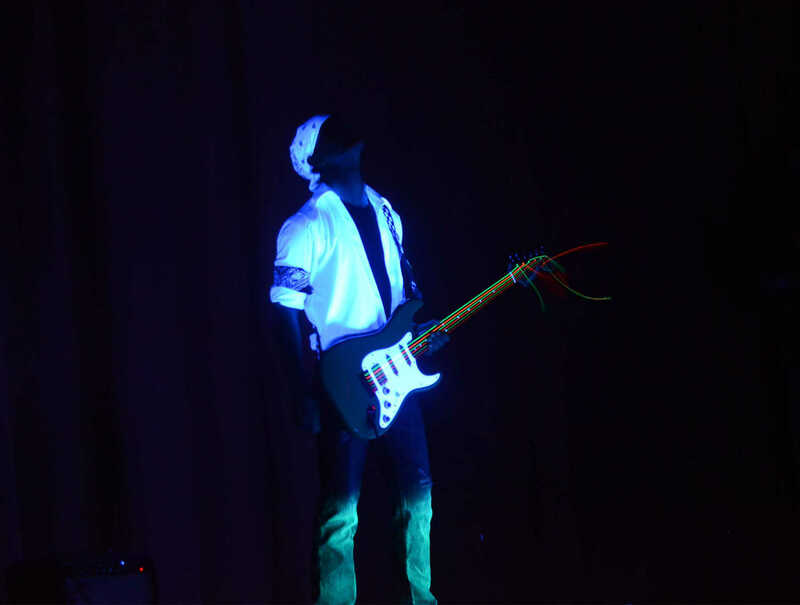 Nick Geeding plays guitar in blacklight during the Male Handsome Pageant on Friday. 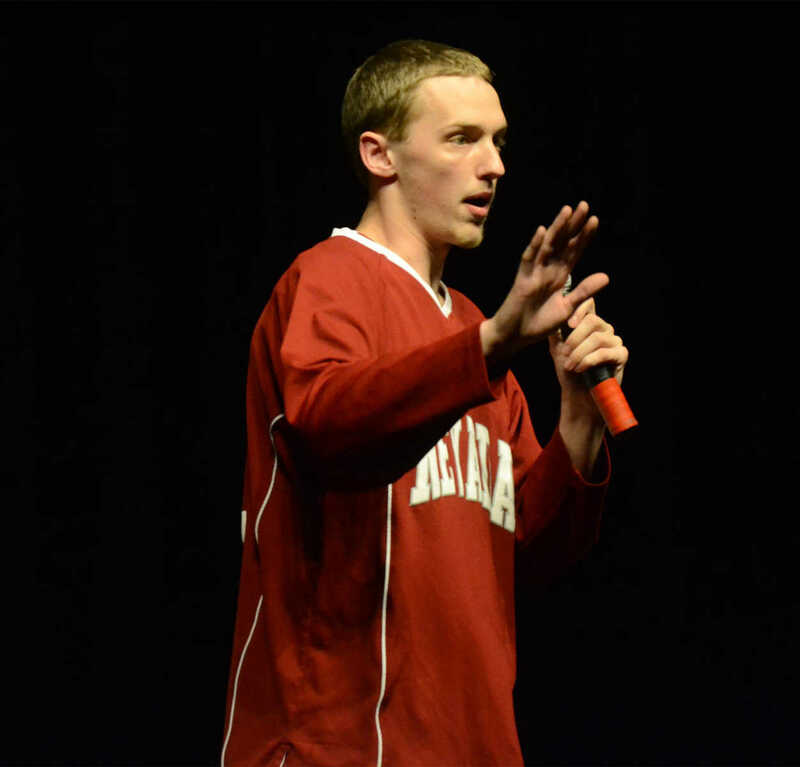 Connor Harbit sings a duet during the Male Handsome Pageant on Friday. 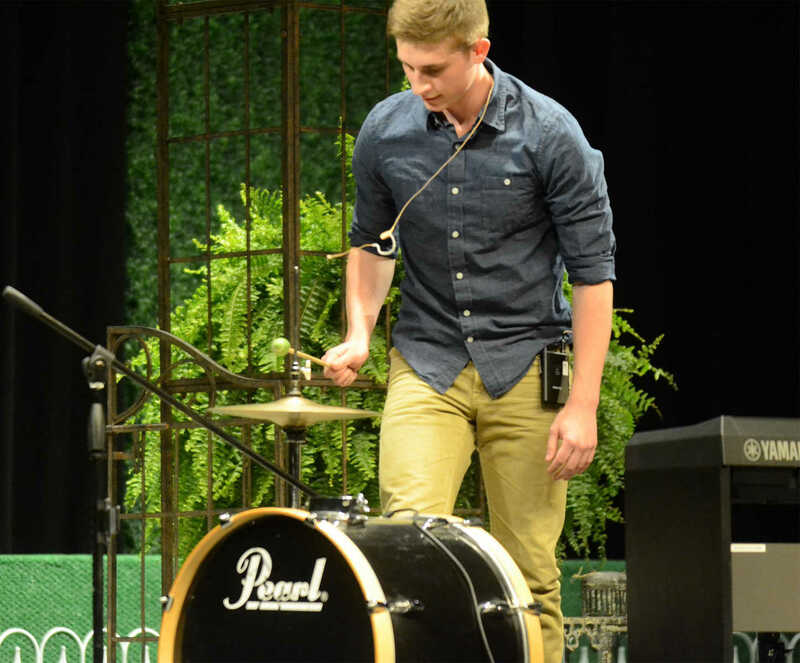 Hunter Lukenbill builds a song with a loop pedal during the Male Handsome Pageant on Friday.